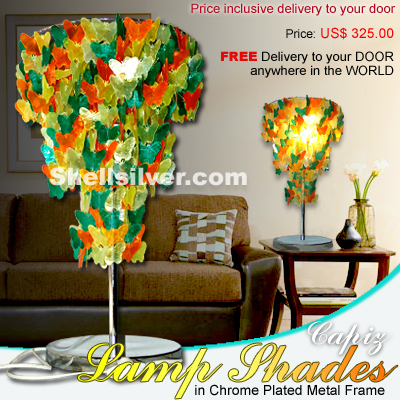 3 layers Capiz chips in yellow, green and orange butterfly shape design 70 strands, 480 pcs. 50mm capiz chips with electric fitting. 24 inches from top to bottom, 16.5 inches top to end of the capiz chips/strand and head frame 12 inches diameter.